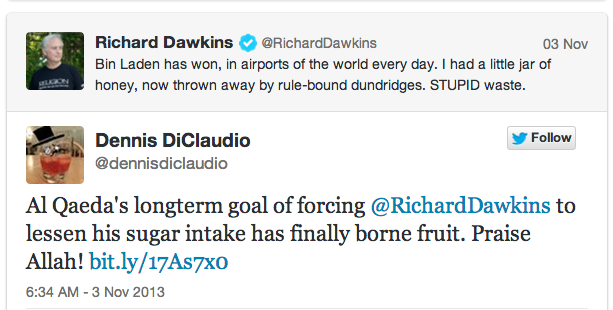 This might be my favorite response to cranky old man Richard Dawkins telling the TSA to get off his lawn. Skepchick has some excellent responses. Even Joyce Carol Oates gets into the act.